Longing for a pool home to enjoy the Florida lifestyle? Look no further! Here is your opportunity to own a beautiful pool home in the wonderful gated community of Braemar. With 3 bedrooms 2 bathrooms and 1856 sqft this home provides you with all the space you need. As you come in the entryway you see a spacious living room with built-in features and surround sound a formal dining area and a large kitchen with addition dining space. Enjoy cooking with a gas range stainless steel appliances and plenty of counter space. The master bedroom leads to a a large walk in closet and spacious bathroom complete with dual sinks garden tub and shower stall. There are two additional bedrooms and another full bathroom. You can entertain guests by the pool with a large screened patio and no rear neighbors. The home also features a 2 car garage wired security system and newer HVAC updated in 2016. Braemar offers the security of a gated entrance and has a community pool and playground. It is conveniently located close to I-75 and US-41 making Tampa Sarasota MacDill AFB major attractions Gulf Beaches and more all nearby. 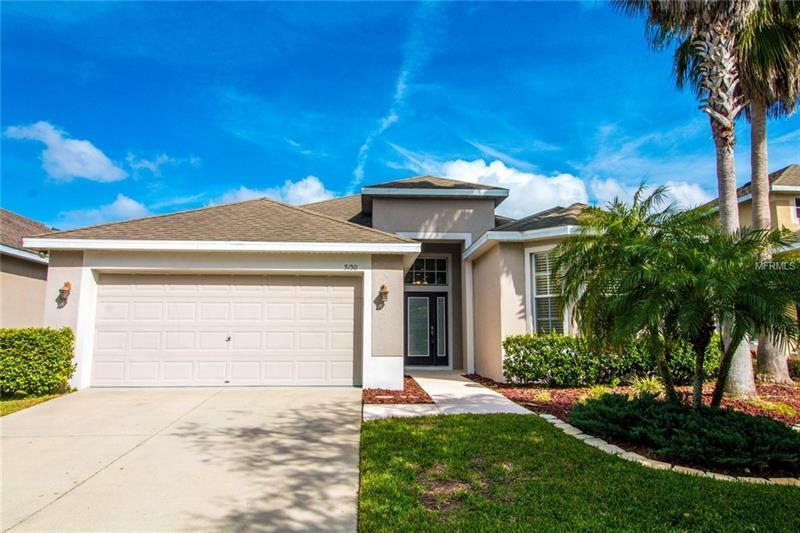 Call today for your private showing and make this charming pool home your own.